Dr. Edjah Nduom is a fellowship-trained neurosurgical oncologist in the Surgical Neurology Branch of the National Institute of Neurological Disorders and Stroke at the National Institutes of Health (NIH). He joined the faculty as a Staff Clinician in August 2015. Dr. Nduom obtained his B.S. in Biomechanical Engineering at Stanford University in 2002 and subsequently obtained his M.D. from the University of Pennsylvania in 2006. Dr Nduom then pursued Neurosurgical training in the Department of Neurosurgery at Emory University and was awarded an NIH R25 Research Development Grant during his residency. In 2012, he completed an in-folded Research Fellowship in Neurosurgical Oncology at NIH. There, he focused on convection-enhanced delivery for drug delivery to the brain and the characterization of the blood-brain barrier of malignant brain lesions. Dr Nduom completed his neurosurgical training in 2013 and then pursued an additional Neurosurgical Oncology Fellowship at UT MD Anderson Cancer Center in Houston, Texas, where he was awarded the Jesse H. Jones Fellowship in Cancer Education. While at MD Anderson, Dr Nduom spent a year studying microRNAs with immune modulatory properties for the treatment of brain tumors. Currently, Dr Nduom heads the Brain Tumor Immunology Laboratory in the Surgical Neurology Branch. His research focuses on the modulation of the immune system for the treatment of malignant brain tumors. He has published numerous peer-reviewed manuscripts in the neurosurgical literature, and he has presented his findings on the immune characteristics of brain tumors at numerous national and international meetings. Dr Nduom studies the immune properties of resected brain tumors in an effort to discover mechanisms of immune suppression. He plans to translate these findings into novel immune therapeutics for glioblastoma and is currently leading innovative early phase clinical trials to test new immunotherapeutic approaches in glioblastoma patients in collaboration with industry partners. Dr. Nduom is a member of the executive committee of the Joint Tumor Section of the American Association of Neurological Surgeons (AANS) and the Congress of Neurological Surgeons (CNS). He is also a member of the CNS, the AANS, the American Medical Association, the National Medical Association, the Society for Neuro-Oncology and the Society for Immunotherapy of Cancer. 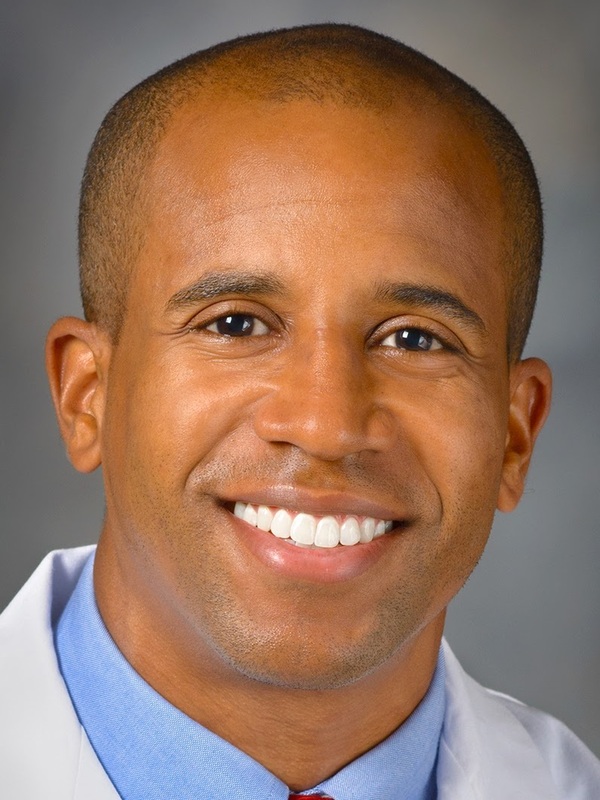 Dr Nduom is the first African-American to serve as the Chair of the Young Neurosurgeons Committee of the AANS and is a Founding Steering Committee member of the Society for Neuro-Oncology Sub Saharan Africa. Dr. Nduom serves as a Review Editor of Neuro-Oncology and Neurosurgical Oncology (specialty section of Frontiers in Neurology and Frontiers in Oncology), and he also serves as an ad-hoc reviewer for many journals, including Journal of Neurology, Expert Reviews of Neurotherapeutics, World Neurosurgery, Scientific Reports and Neurosurgery. Outside of neurosurgery, Dr Nduom has held numerous leadership positions. At Stanford University, he was Assistant Vice-President of the Western Region of Alpha Phi Alpha and served as an Undergraduate Senator for the Associated Students of Stanford University. He was the President of the Medical Student Government at the University of Pennsylvania School of Medicine, and in 2015, he founded Physicians for Criminal Justice Reform, Inc. a 501c3 non-profit organization focused on eliminating the damaging health consequences that can result from negative interactions with the criminal justice system. Most importantly, he is a devoted husband to Kelley Coleman Nduom, JD, MPH and a loving father of their two children.